Alright, guys. Sit back and make yourselves a cuppa (or vino - whatever tickles your pickle). 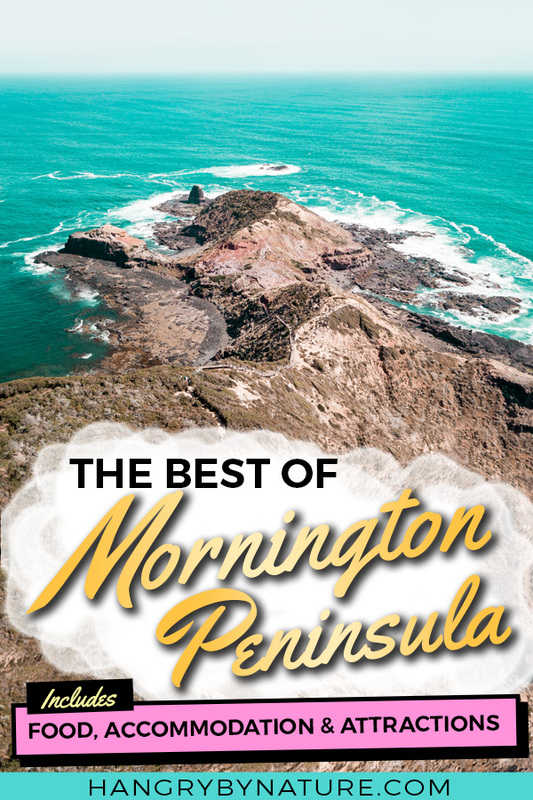 I'm about to unravel the best of Mornington Peninsula: Things to do, Where to stay & What to eat. Forget the Great Ocean Road - it's too damn far. 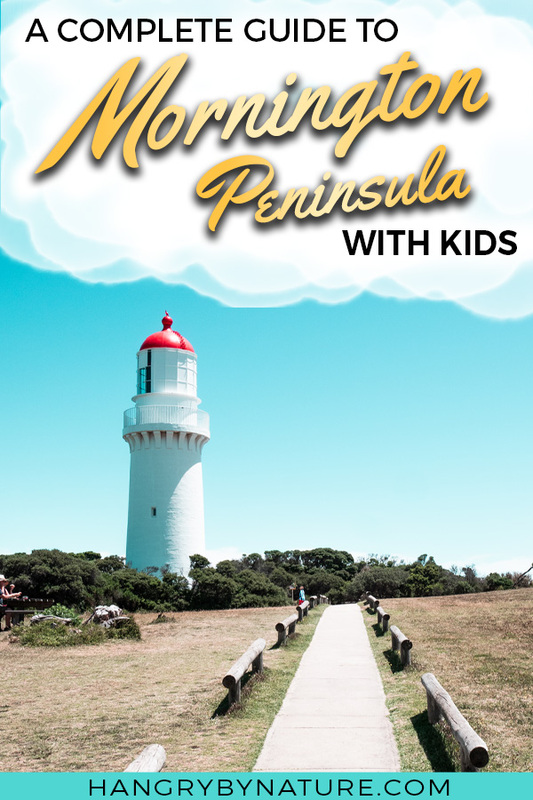 Hailed as one of the best weekend getaways in Melbourne - if you're after equally as stunning coastlines and stacks of attractions for kids that's only an hour's drive from Melbourne, you need to hit up the 'Morny Penny'. Yes - we, Aussies, take great pleasure in abbreviating absolutely everything. Kids or no kids - we somehow gravitate towards the Peninsula multiple times each year, because, on every trip, we seem to stumble upon a new marvel - a secret untouched back beach, a new coastal boardwalk with dazzling views, or simply a new hyped up eatery that has opened up. Our love for this place all started with booze-fuelled summer trips with friends where we would rent a dingy cheap place, guzzle down bags of goon, and recover from heavy hangovers sprawled in front of the Dromana beach boxes. Much to our dismay, our art of holiday'ing has since changed dramatically with the addition of kids (I mean, for one - we can now afford slightly classier wine), but one thing has remained the same. Our deep-seated love for this beautiful corner in Victoria. 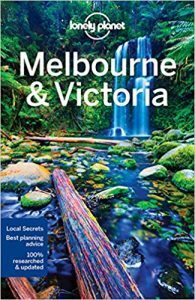 Looking for more travel guides & inspiration in Victoria, Australia? It gets busy during Australian school holidays. If you're not into crowds and traffic (let's be real - who actually is? ), then avoid visiting during summer school holidays from December to January. 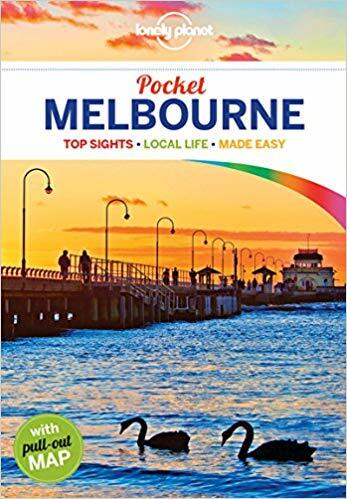 Beaches are packed like a Wiggles concert, accommodation prices will make you sob, and traffic will make you feel like you're driving in the Melbourne CBD. It's slightly cooler. Temperatures are a wee bit nippier compared to Melbourne thanks to the coastal breeze. Although, refreshing in summer - just make sure you pack jackets and beanies for those cool nights. There's plenty of supermarkets. 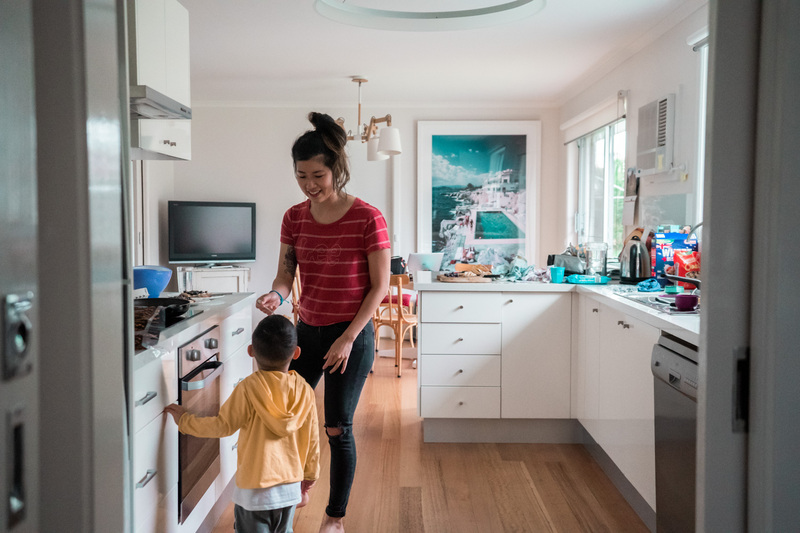 No need to pack your entire pantry or do a huge grocery haul prior to your trip - you'll find large supermarket chains Woolworths, Coles, Aldi and IGA in major towns like Mornington and Rosebud. Bush flies - don't even. Visiting in the summer? Bring a fly-net and wrap your entire body in it. If that's too extra then get yourself one of those dorky cork hats. You'll thank me later. Alright, folks. Whip out the wine, make yourself a cheese board (or whatever tickles your tummy) - we'll be running through a long list of Mornington Peninsula's things to do that'll set your itinerary on fiyah (figuratively).. In the best of ways. 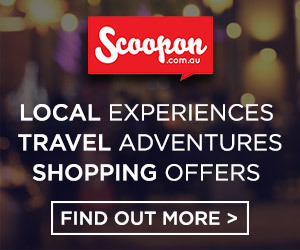 For more exclusive fun-filled travel guides in Melbourne and beyond, sign up to the newsletter. 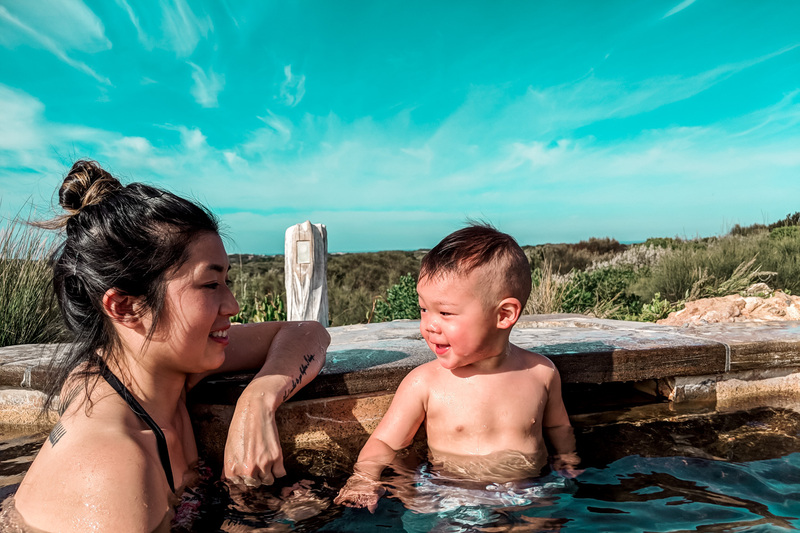 Let's be real - you can't say you've been to the Mornington Peninsula until you've dipped your toes in the toasty waters of the hot springs and experienced the ultimate feeling of relaxation. Now, I get it. 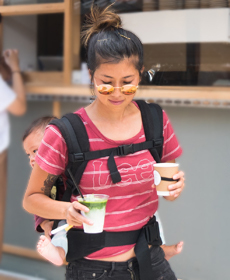 This may seem like a completely preposterous notion as a parent with young kids, BUT, you may not know that the Hot Springs is a kid-friendly venue. Yes, you heard right. Bring the kids! Just take a look at this detailed guide to conquering the Hot Springs with kids for a better insight. Your relaxation probably won't be long-lived with kids, but hey - as a parent, a couple minutes of "Ahhhhh, that's nice" is pure luxury. Children are welcome in all bathing areas before 10am - after which, those under 16 years are restricted from going to the Bathing Gully and Hilltop pools. While you're there, be sure to explore the newly opened section called 'Amphitheatre', comprising of 7 new pools tucked into the hillside where visitors can bathe and enjoy live entertainment. How's that for relaxation? Skip the queue & book your tickets to the Peninsula Hot Springs online. Mmm.. juicy and sweet strawberries. Name a kid that doesn't love these? That's right. There aren't any out there because everyone loves strawberries. I remember the days my folks whisked me away to strawberry farms, and despite my hayfever and record-breaking sneeze attacks - you'd find me buried deep within the fields shoving a record-breaking amount of strawberries into my mouth. Sunny Ridge Strawberry Farm is the largest producer of this much-loved fruit in all of Australia. The property can be found in the picturesque hinterland of Mornington Peninsula where visitors are welcomed to pick their own strawberries from November to April. But, the fun and berry coma doesn't end there. Should your appetite still allow it - make room for homemade ice creams, berry-inspired desserts and a rejuvenating cuppa coffee. Can you ever get enough of these cute-but-probably-not-so-cuddly, bunny hopping, symbolic Aussie creatures? Negative. They're like the jumpy, less furry llamas of downunder and we definitely can't get enough of them and their adorable little joeys. You can't consider it a good family weekend getaway in Melbourne until you've popped into an Aussie wildlife park. The Moonlit Sanctuary is, by far, our favourite place to get up and close and personal with rescued Australian wildlife - most of them roam freely around the property. 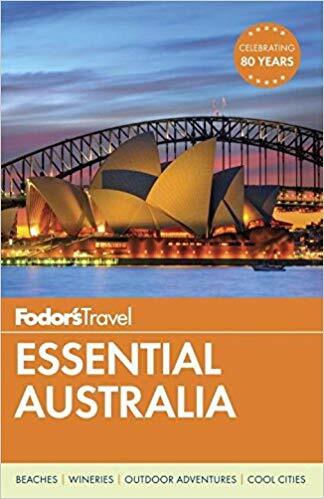 Book hands-on encounters with koalas and pythons, or even take a dingo for a stroll around the park. You can't say you've ever walked a dingo before, can ya? Put that on your resumé. For a more insight on the Moonlit Sanctuary, take a look at this guide. Skip the queue & book your tickets to Moonlit Sanctuary online. 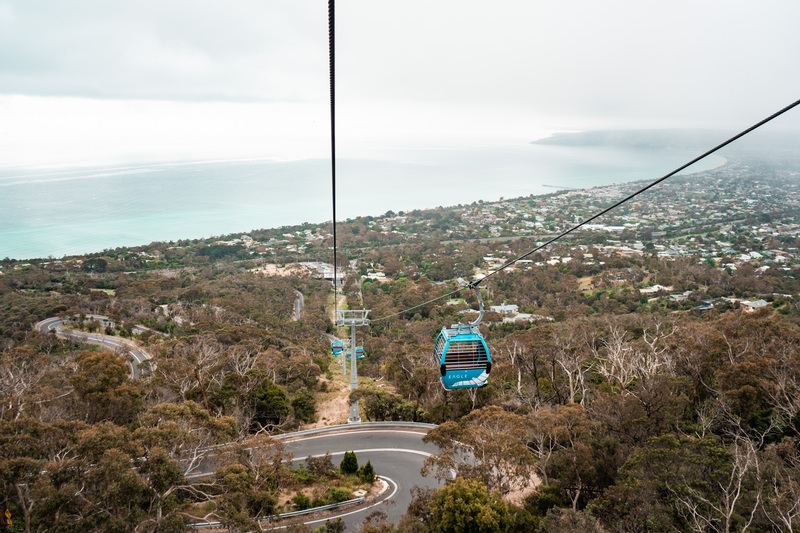 One of the newest and best things to do in Mornington Peninsula is the Arthurs Seat Eagle, an exhilarating cable ride inside a fully enclosed 8-person gondola allowing visitors to admire the stunning coastlines of the region from a whole new perspective. The journey from Base Station in Dromana to Arthurs Seat Summit takes roughly 15 minutes - on a clear day, you can see as far as the Bellarine Peninsula to the west, and the hazy skyline of Melbourne on the other side. Opening Hours: Vary from season to season - check the official website for more information. Don't let your adventure end at Arthurs Seat Summit - a leisurely 15-minute walk down the road is the magical Enchanted Adventure Garden, an award-winning outdoor fun park where little ones can find their way through mind-boggling mazes, zip from tree to tree on high ropes adventures, clamber along wobbly suspended bridges, speed down thrilling tube slides, plus a myriad of other exciting activities. If that's all too much hype for the family, simply sit back and admire the beautiful gardens, grab a bite to eat at the café, or stroll around the gardens and discover sculptures and other garden pieces. Skip the queue & grab your ticket to Enchanted Adventure Garden online. Rainy day on the Peninsula? Never fear, Top Fun is here.. To keep parents sane and kids entertained. 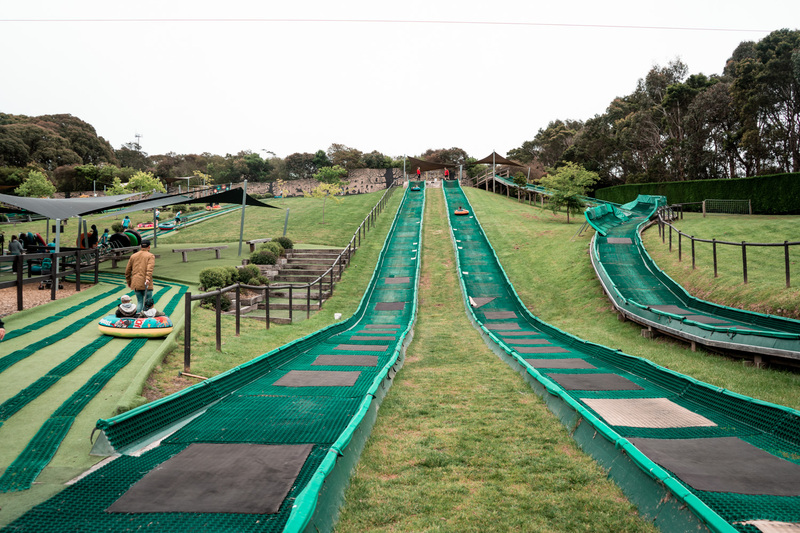 Located in the heart of Rosebud, enjoy a round o 36-hole Mini Golf with the kiddos, have a go at Ten Pin Bowling, or run wild at the arcade that's home to some of the latest games, as well as much-loved classics. Guys, the Mornington Peninsula beaches are some of the most gorgeous and kid-friendly ones in all of Victoria. I'm biased, so I'm gonna say all of Australia. I can already feel the heat coming from the other states - I'm ready to be disputed ? 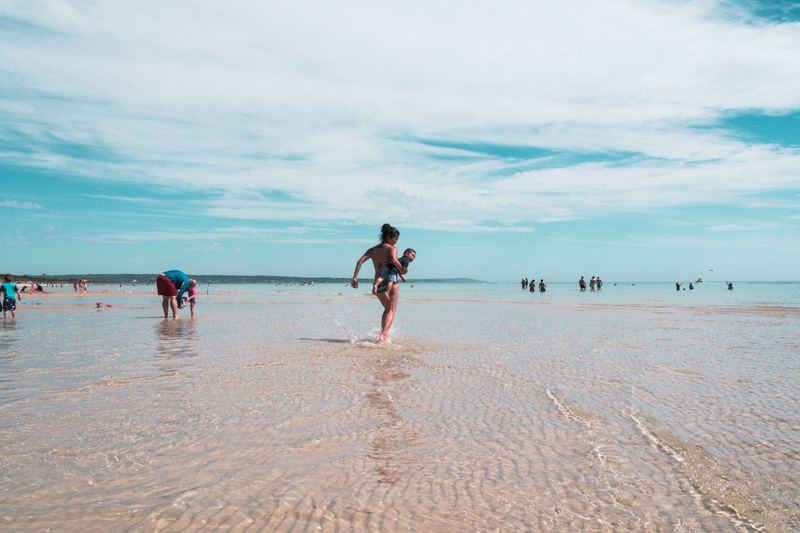 Crystal blue shallow waters allowing you to wade far into the distance, and wide beaches filled with powdery soft sand - some of them dotted with Melbourne's famous colourful beach boxes that make them oh-so-Instagram-worthy. Frankston Foreshore & Beach - features a massive outdoor adventure playground, ample open space with BBQs and restroom facilities. Oh, and did I mention there's an ice cream shop? Sure win. Moondah Beach - a small and private beach with calm waters, bathing boxes, and one of the most spectacular places to watch the sunset over the glistening Mornington harbour and surrounds. 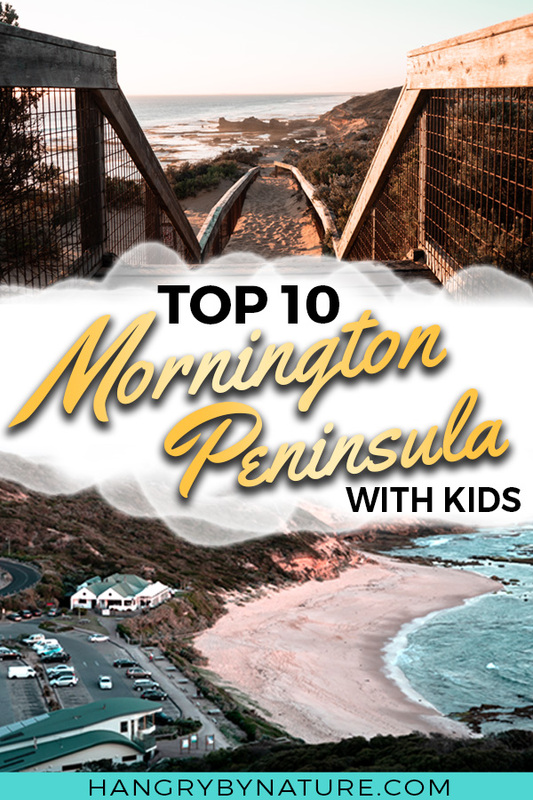 Mornington Beach - perfect for family get-togethers, the beach features BBQ and restroom facilities, plus, if the kids have had enough of water play (unlikely), there's a huge playground up top. Dromana Beach - a 3-kilometre long stretch that consists of picnic areas, shelters, walking tracks and camping areas. Kids will love dipping in the still waters and climbing the rocky cutting at Anthonys Nose. Rye Beach - you know those beaches in Thailand where you can walk out for ages and your knees will still be above water? Well, this is like Thailand in Australia. Sorrento Beach - pitch up a tent and splash about or have a crack at leisurely sea kayaking, or let the little ones exert their leftover energy at the incredible foreshore playground. Strawberries, planes and steam trains - these are a few of kids' favourite things.. Right? One of the must-experience Mornington Peninsula attractions for kids, this heritage railway will leave small and big train lovers reeling with excitement. Experience, first hand, the way rail travel was conducted in a long bygone era - the scenic 15-minute train journey runs between Morooduc and Mornington, making it a perfect adventure for young kids who can't sit still for long periods of time (AKA mine). Before your return journey commences, hop off the train and let the kids observe the engine change ends, with a loud huff, puff, and plenty of steamin' goodness. Throughout December, the Mornington Railway also runs Steam-Hauled Santa Trains decorated with festive cheer. Families will have the opportunity to meet Santa in the flesh and, perhaps, even pull him to snap a few selfies. It looks like dinosaurs have returned from extinction and are terror-dactylising this pretty corner of Victoria, perhaps in the hopes of finding their next feed.. or, they've developed a taste for the scenic coast. I mean, not gonna lie - the prosciutto pizza at D.O.C. Mornington is pretty bomb. I can't think of any carnivore that can resist the smell and taste of that doughey goodness. A relatively new Mornington Peninsula attraction - this park is a must-visit for little dinosaur fanatics. Spot the enormous Brachiosaurus emerging from the bushes, or make a run after spotting the hungry T-Rex - the life-like animatronic movements and dinosaur sound effects make for a very Jurassic experience at Dinosaur World. When you mix together an animal farm, adventure playground, petting zoo, and tractor ride - you pretty much fulfil every kid's deepest desires. The Big Goose is working farm where kids can chase everything from fluffy chicks to cheeky lambs, as well as hop on pony rides, navigate around a Tyre Maze, play a round of Mini Golf, and even cool down at the Splash Park when the heat becomes too overwhelming in summer. 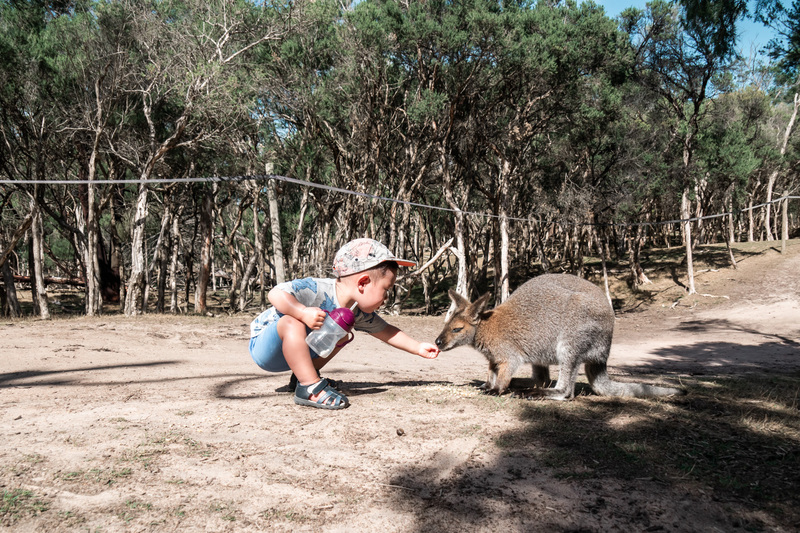 Be sure to add this one to your ever-growing list of Mornington Peninsula's things to do with kids. I swear we're coming to an end soon. What's the most troublesome thing that kids love to do? 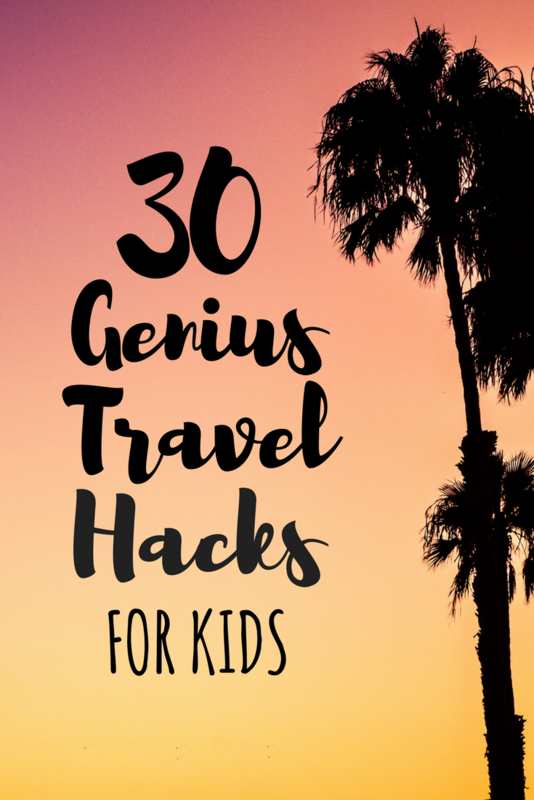 I know, you could probably write a bestselling biography covering just how much mischief your kid gets up to that is relatable for all parents - but, I'll reveal the one thing and exactly where they can get it out of their system. Temporarily. 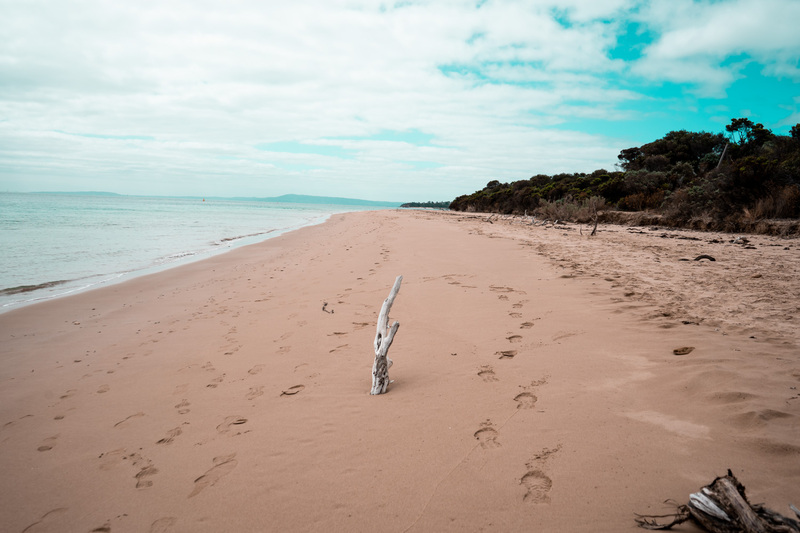 Filled with beautiful and untouched Mornington Peninsula beaches and marvellous coastal lookouts - this is a place I can revisit time and time again. Fort Nepean National Park. Climb onto abandoned old lookouts, roam through dark tunnels, followed by more climbing and clambering at the Old Fort. The only thing they probably will not love about this adventure is the one hour (more like 2 hours with whiny kids) hike from the carpark to the Old Fort. The good news - there is a bus. The bad news? It costs $10 per person each way. But, if you're not a happy hiker (AKA me) then it's definitely worth the money. If you do decide on the hike (which I do highly recommend if you're up for a challenge), you'll encounter awe-inspiring views and old lookout towers begging to be climbed, so do the walk if you can because this is, without doubt, one of the best things to do in the Mornington Peninsula. Set in the vast greenery of the Red Hill region, Ashcombe Maze and Lavender Gardens is a stunning property tastefully decked out with towering hedge mazes, sculptures, and seasonal plant life. Roam the lush gardens and mazes with little ones and search for gnomes and fairies hidden deep within. 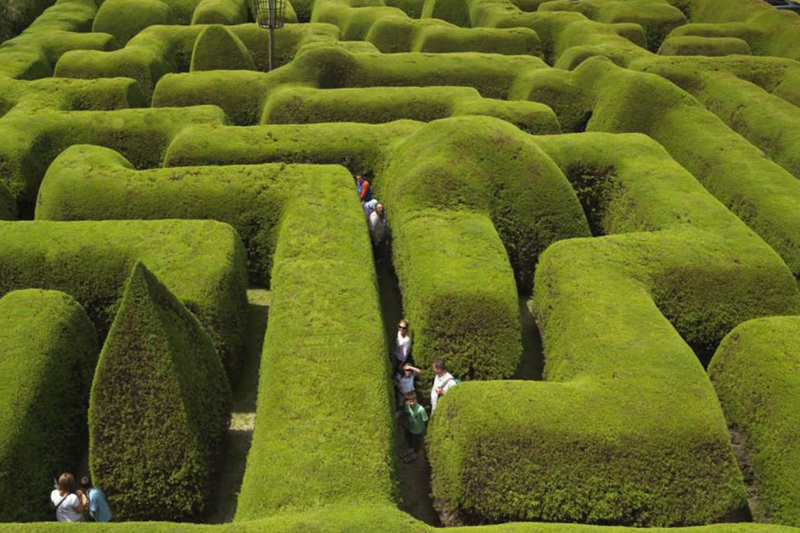 It's also home to Australia's oldest 3 metre high hedge maze - the circular rose maze, sculpted into confounding and devious pathways that will leave adults and kids scratching their heads, with guaranteed giggles along the way. Our visit didn't coincide with any events, but despite that - our 6-days spent at the Mornington Peninsula were filled to the brim with non-stop activities. I've listed some of the major festivals and events below, for a complete list - take a look at the schedule. Frankston's Christmas Festival of Lights (November) - Kick off the festive season at Victoria's biggest Christmas festival that promises a magical night for kids and adults alike. Entertainment and activities include rides, food, Santa's grand arrival, the traditional lighting of the enormous 21-year old Christmas tree, followed by a booming fireworks display. The event is free to attend, save for food and amusement rides. Sand Sculpting Australia (December) - Get whisked away on a journey told through sand in this incredible exhibition that displays world-class sculptures inside the Boneo Maze. Set on 27 acres of wetlands and gardens featuring mazes and jumping castles - guaranteed to be a great day out with the fam. Mornington Carols in the Park (December) - A free event in Tyabb with kids' entertainment, carols, prizes, giveaways, and obviously, Santa - this is the place to go for pre-Christmas fun. Frankston Waterfront Festival (February) - Enjoy a fun-filled weekend consisting of thrilling rides, nomilicious food, and boppin' entertainment. Featuring market stalls, beach and water sports, and live music - this is a fun activity for the whole family. As a family travelling with two rambunctious little boys who seem to be perpetually hungry (and dirty simultaneously), we have the tendency to search for fully equipped homes with all the creature comforts of what you would expect to find at home, but still allows you to feel like you're on vacay. On the lookout for a home away from home? Well, you can end your search here because Soleil Sur La Mer is exactly that - if not, more. Only an hour's drive from Melbourne, this large family home is conveniently located a 5-minute stroll from Dromana Beach and perfect if you're looking to explore more of the top end of the Peninsula. 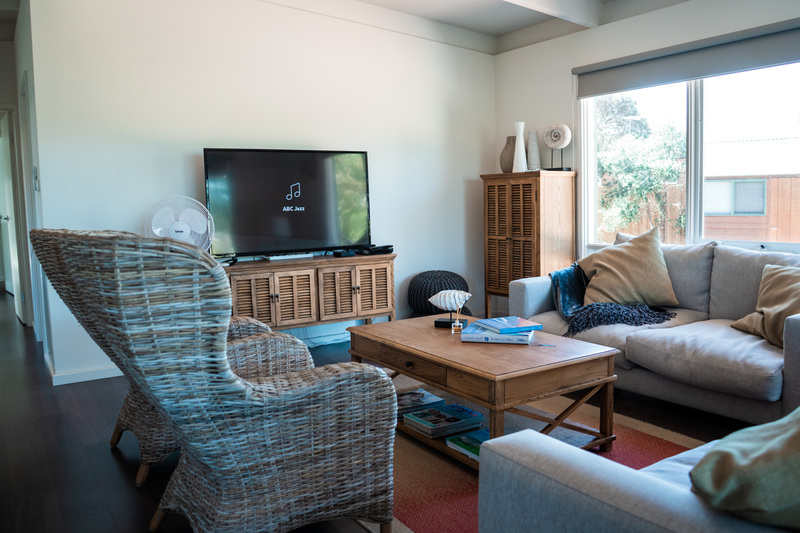 The place features an enormous front and backyard for kids to run amuck and exert all their pent up energy, plus a cabinet filled with family movies and kids' books to keep them entertained for days on end. Easily accommodating up to two families in its 3 bedroom and... wait for it, 3 bathroom layout (yeah, you heard - no more time limits on bathroom use), the home features a large master bedroom, a guest room, and a kids' room containing four bunk beds and a closet full of toys that little ones have free reign to. Can it get any homier than that? Most of our downtime was spent lazing around in the cosy lounge room scarfing down TV dinners and bingeing on Netflix. 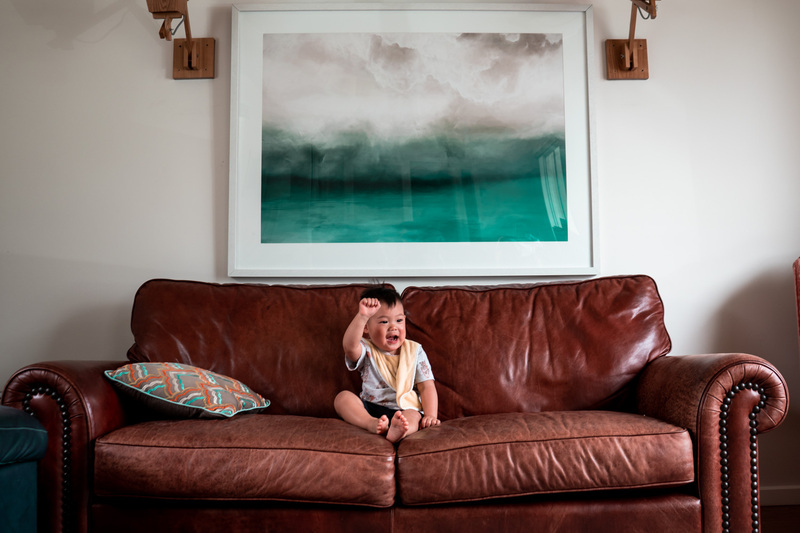 With an abundance of space for our two little wildlings to roll around and plush leather couches to snooze on - this room pretty much felt like our living room back at home. Oh, and most importantly - for my fellow parents out there - you need to hear this. What's better than one coffee? Well, two coffees, of course. This house was made for families, and by that, I mean that there are multiple coffee-making options. A coffee capsule machine with a frother for those barista feels and a cold press to make them iced coffees. I mean, if that hasn't sold you on the spot (from one droopy-eyed parent to another), then I don't know what will. The place is also equipped with a washing machine (for those forever grubby kids), a bathtub, and an enclosed backyard with BBQ for those summer night grills. Mmmhmm. For those real 'homey' vibes that has everything (perhaps even more) you have at home - this is the place to stay in Dromana. For more holiday homes in the Mornington Peninsula, take a look at Good House Holiday Rentals. When it comes to accommodation, there are two kinds of travellers - the immersive and, well, the not-so-immersive. I don't know about you, but, when I travel - I want all the feels of the place I'm in. You know, as a confirmation that you really are on holiday. In Bali, everyone wants a villa. In Canada, a timber lodge with some antelopes hanging on the walls. You get my drift? Well, when in Mornington Peninsula - you need a beach cottage. Not just any beach cottage, but a Buckley's Escape kind of beach cottage. A gated property nestled in the quiet residential streets of Sorrento, it's a 15-minute walk from the magnificent Diamond Bay, under a 5-minute drive to Sorrento town centre, and less than 10 minutes in the car to Point Nepean National Park. 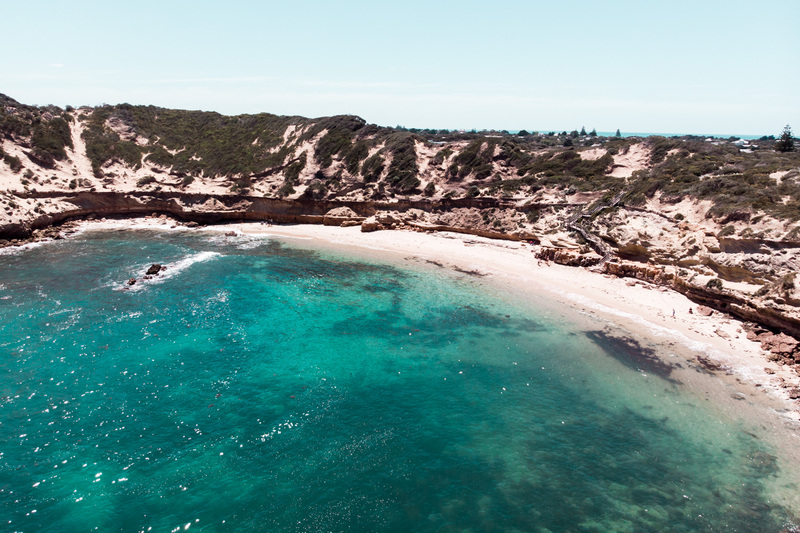 This is the perfect place to base yourself if you're touring the back beaches of Mornington Peninsula, perfect for outdoor adventure lovers like ourselves, and those who want to explore the back beach Mornington Peninsula attractions. Accommodating up to six guests, this cushy cottage is fitted with 3 nautical-themed bedrooms, a fully equipped kitchen (capsule coffee machine included, YAS! ), laundry and bathroom. Honestly, if my restless wanderlusty feet could stay still in one location, this would legit be the home of my dreams. Our boys slept soundly in the kids' room featuring two single beds, which came complete with their own flat screen TV and a Wii console. Can you believe that? I almost regretted my decision of picking the bigger room. I wanted the room with a game console so I could secretly play games late into the night. When the kids weren't glued to the cable TV channels in the cosy living room, you'd find them kicking a ball outside in the large open space that features a grassy backyard and a pebbled front yard. On warmer nights, the veranda is the perfect space to throw some sausages and steak onto the barbie and have dinner in the outdoor entertainment area. For more beach cottages and luxury accommodation in Sorrento and beyond, take a look at Ocean Blue Coastal Retreats. Our stays were graciously hosted by Ocean Blue Coastal Retreats and Good House Holiday Rentals. All photos, videos and experiences are, however, our own. The Mornington Peninsula is a haven for food lovers - you'll find no shortage of delicious eats from artisan coffee and brunch to modern Australian dining at picturesque wineries in the Red Hill region. Speaking of wineries, Red Hill is a must-visit if you love a good vino coupled with scrumptious food in a setting that will steal your breath away. Set on a beautiful vineyard with plenty of outdoor open space for kids to roam around on, Montalto Restaurant is our favourite in the region. The fresh oysters and lamb tartare are to-die-for and the tender duck will melt right onto your tongue. For an unforgettable serving of pancakes (that you'll forever have pleasant dreams about) and tasty brunch, hit up Pelikan Société in Hastings if you're touring the back beaches. If you're closer to the tip of the Peninsula and looking for a mean brunch, swing by Buckley's Chance and try their signature breakfast. 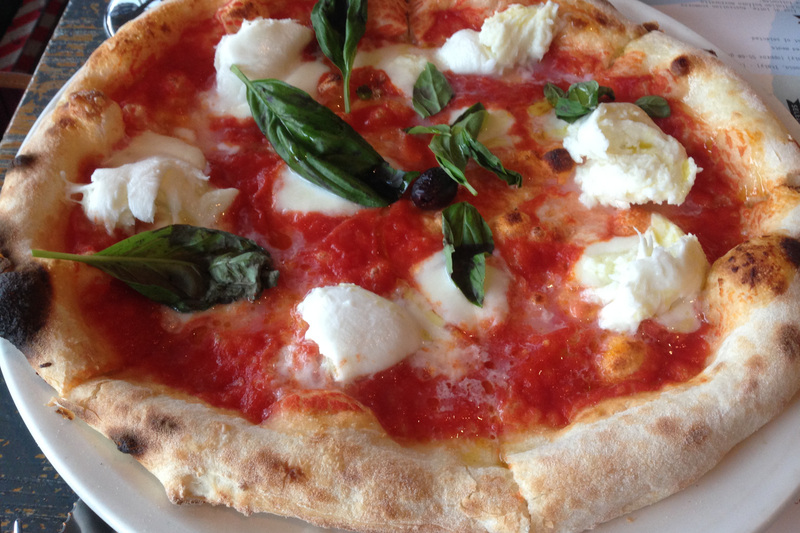 For kid-friendly eats, don't miss the popular D.O.C. Mornington for gourmet wood-fired pizzas that will throw you into a food coma (in the best of ways), YOMG serving up juicy burgers, milkshakes and frozen yoghurts, and of course - pop into Tutti Frutti Artisan Gelato for a colourful and delicious range of ice creams, sorbets, and well, gelatos. For more yummy food ideas, take a look at this list of the 10 Best Restaurants in Mornington Peninsula. Pizza, do you love me? Are you riding? Say you'll never ever leave from beside me. The Mornington Peninsula is conveniently located south of Melbourne CBD - the boot that makes up part of Port Phillip Bay. 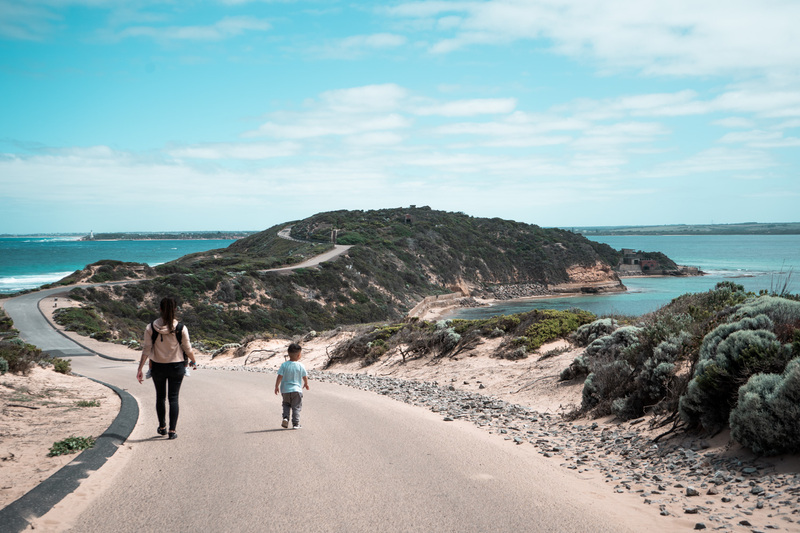 Driving to Mornington Peninsula from Melbourne: Depending on where you're coming from, it's accessible via 3 roads - Eastlink, Nepean Highway (both of which lead to the Mornington Peninsula Freeway) and the Western Port Highway. Coming to Mornington Peninsula by Train: Although not recommended as you won't get very far, it is possible to catch the Frankston line to Frankston and catch a bus thereafter. Catch the 788 Frankston - Portsea that will take you through Dromana, Rosebud and Sorrento. Check the timetable for more information. Without a doubt, Morny Penny is best explored with a car as most towns, sights, and attractions have a solid chunk of distance between them. Rent a car & drive to Mornington Peninsula. Find the best rates below. Which attraction from the list above would you most like to visit? Tell us in the comments below.